to create a universal family tree with ONE single record for each individual rather than the multitude records with conflicting information which we are accustomed to finding on the Internet. At that time this forward looking tool was only available to members of the LDS Church. [Dr D is not a LDS member but he was given a password and allowed to attend two early training sessions while he was on a research trip to Salt Lake City.] It is now available to everyone. It is the policy of FamilySearch, to make genealogical resources available to everyone free of charge. If you haven't taken a look at Family Tree, now would be a good time to explore it. This morning I was pointed to another free resource that shares many of the same goals of Family Tree. I was referred to this site by KinCityKity [aka: Kitty Smith] who has the unenviable task of managing the Smith surname DNA project at FTDNA -- of which my nephew, Trevis Smith, is a participant. To understand this project one must think Wikipedia. To further this image it is named WikiTree. As the creators and hosts of the WikiTree website, we pledge that our mission is the same as that of the community: to create a single worldwide family tree that will make genealogy free and accessible for everyone. Free is an essential part of our shared mission. We will never charge for access to the worldwide family tree. And we will never knowingly and willingly sell or transfer the worldwide family tree to any individual or organization that intends to charge for access to it. Our mission is to grow a single worldwide family tree that will make genealogy free and accessible for everyone. WikiTree is designed to balance privacy and collaboration so that everyone can share the same worldwide family tree. We privately collaborate with our close family members on profiles of modern people. As we go back in time, the trust circles for ancestor profiles grow wider and wider. Collaboration on deep ancestors is between distant cousins who are serious about genealogy. Because all the profiles are connected on the same system the process is creating a single family tree that will eventually connect us all and thereby make it free and easy for anyone to discover their roots. "If you've been looking for a FREE family tree system that encourages collaboration, then I suggest that you try WikiTree. My opinion is that it's the easiest to use collaborative family tree currently available." Of course there is no such thing as a "free lunch" or a free genealogy site. FamilySearch is subsidized by the bountiful resources of the LDS Church. Without that kind of deep pockets backing, WikiTree relies on relevant ads that border the content. While these can be somewhat annoying, would you rather be paying for access? That is the tradeoff. Remember "Free TV" is paid for by those ads we love to hate. Both Family Tree and WikiTree are well worth exploring. If you have had experience with either, please make a comment below. Mitochondrial DNA tests may taken by both women and men to trace their direct maternal lines. Tests for less than full the full mitochondrial sequence are useful for deep ancestry (haplogroup) identification. However, a full sequence test is needed to narrow results to those with whom you may have matches with others within genealogical times---the last few hundred years during which we have surnames and written records. An exact match on a full mitochondrial test is thought to mean you have a 50% chance of having a common ancestress within the last 5 generations. Lower levels of testing -- even with an exact match -- only indicate you have a 50% of a common ancestress within the last 700 to 1,400 years. Most of us do not have any idea who our ancestress are that far back. :-) Therefore, a full sequence test is the only mitochondrial test that may advance your genealogical research. Lower level tests might DISprove a match but they would not prove a common ancestress had lived within recent centuries. In 2006, Family Tree DNA pioneered the use of mitochondrial (mtDNA) full sequences to solve maternal genealogical puzzles and to produce the deepest maternal haplogroups in the industry. At that time, only a few academic researchers were using the power of the mtDNA full sequence for anthropological studies. Now 7 years later, all serious academic researchers use mtDNA full sequences for their maternal lineage research. Several prestigious institutions send their DNA samples to Family Tree DNA for complete mtDNA sequencing. 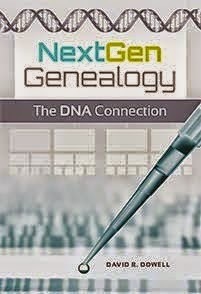 Knowing that this testing level is the best value for genealogy, we have preferred to see the mtDNA full sequencing used for all genealogical purposes. However, limited lab capacity forced us to use pricing as a mechanism to control the number of orders we receive. That’s about to change! We are proud to announce we have moved our Full Sequencing line from Sanger DNA sequencing to what is called Next Generation Sequencing (NGS). This gives us much greater capacity to process tests, to reduce costs without sacrificing quality, and to ensure shorter turnaround times. We must run the entire sequence every time we process an mtDNA full sequence test, even for upgrades. However, in celebration of this advance- and National DNA Day – we’re offering our lowest price ever for upgrades to FMS. For a limited time, whether you’ve tested HVR1 or HVR1+2, you’ll be able to upgrade to the Full Sequence for just $129! Rather than the 8-10 weeks first generation sequencing required, we expect your results to be completed within 5-6 weeks. This does depend on the number of orders received though. If their DNA is already at our lab, those who order first may expect even shorter turnaround times.